We are the professional standard in Still Photos and Google 360 Virtual Tours. Beautifully detailed, visually stunning and consistent imagery for all your locations. We provide Still Photography and Google 360 Tours nationwide (including Canada) with our network of professional, Google Trusted, and Still photographers. Our clients range from small offices, national chains to property management firms, with hundreds of locations. Supported by superb in house editing, we deliver consistent, quality images, adhering to your valued brand standard. YIMPROS specializes in high quality Real Estate and Apartment Photography and scheduling with us is easy. 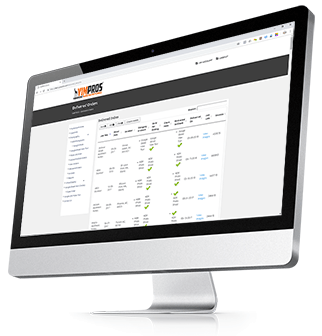 Our user friendly client portal makes booking and tracking orders, hassle free! We handle scheduling with locations or your corporate office. Our Scheduling confirmations & reminders with prep guides help locations look picture perfect! All photos are manually reviewed and edited in house to ensure you get top quality, consistent results, each and every time that meet your brand standard. Our system will notify you once your order is completed and ready for download. Files are shared through cloud hosting in full size high-resolution and reduced web size. Our proprietary system makes it easy for clients to place and track their orders, download reports and order essential add-on services such as virtual staging and Google overlays. We’d love to help! Complete the form and we’ll contact you to learn more. YIMPROS helps businesses increase their online presence and stand out with our stunning photography, creative web design, and digital marketing services. © YIMPROS, LLC An Internet Marketing Agency. All Rights Reserved.